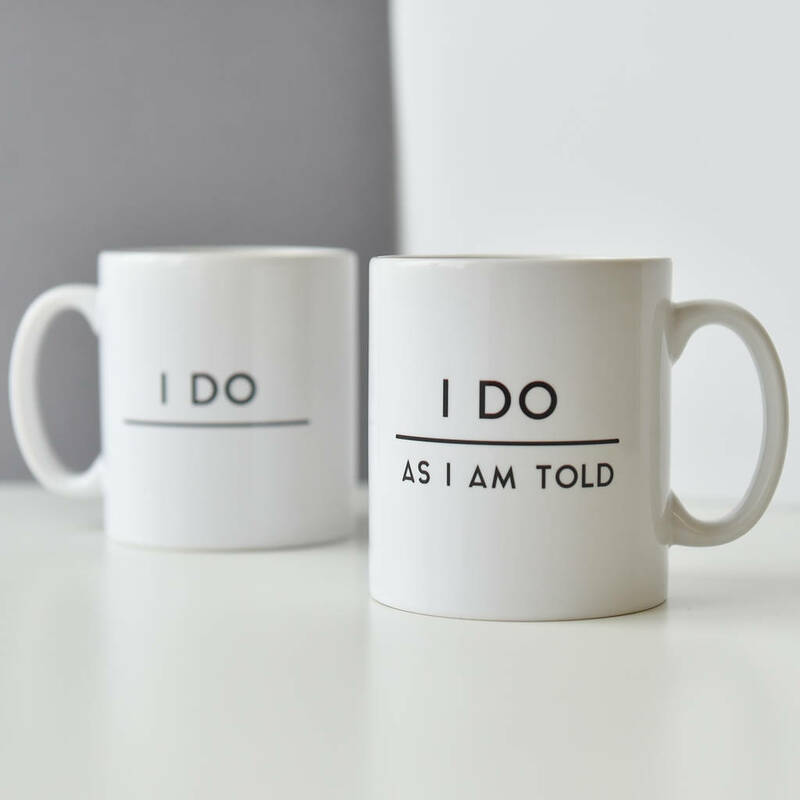 This humorous set of mugs make a perfect wedding gift for friends and family. 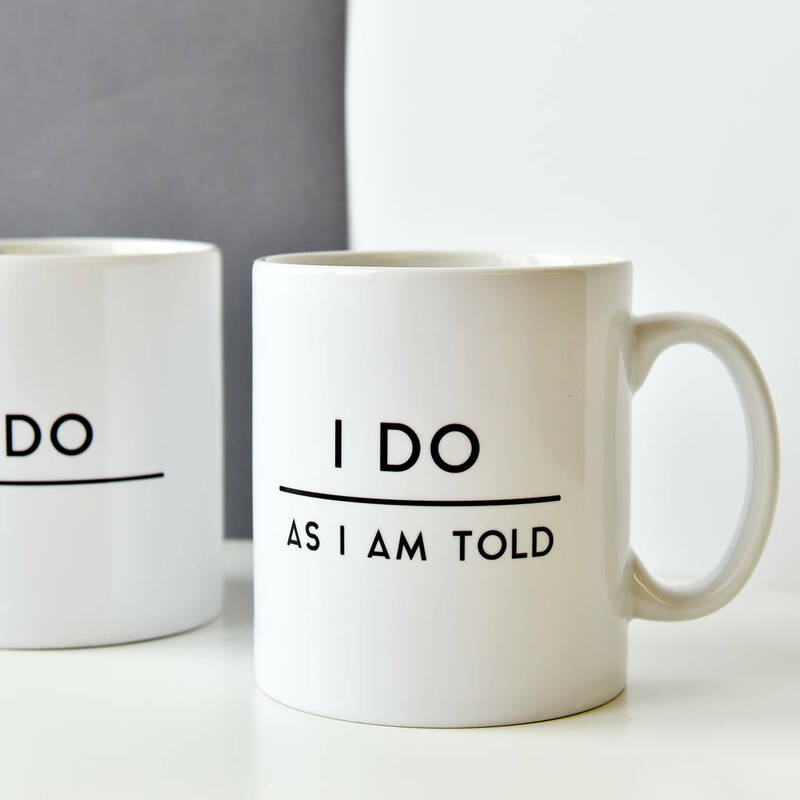 The set of two mugs feature the words 'I Do' on one mug and 'I Do As I Am Told' on the other. 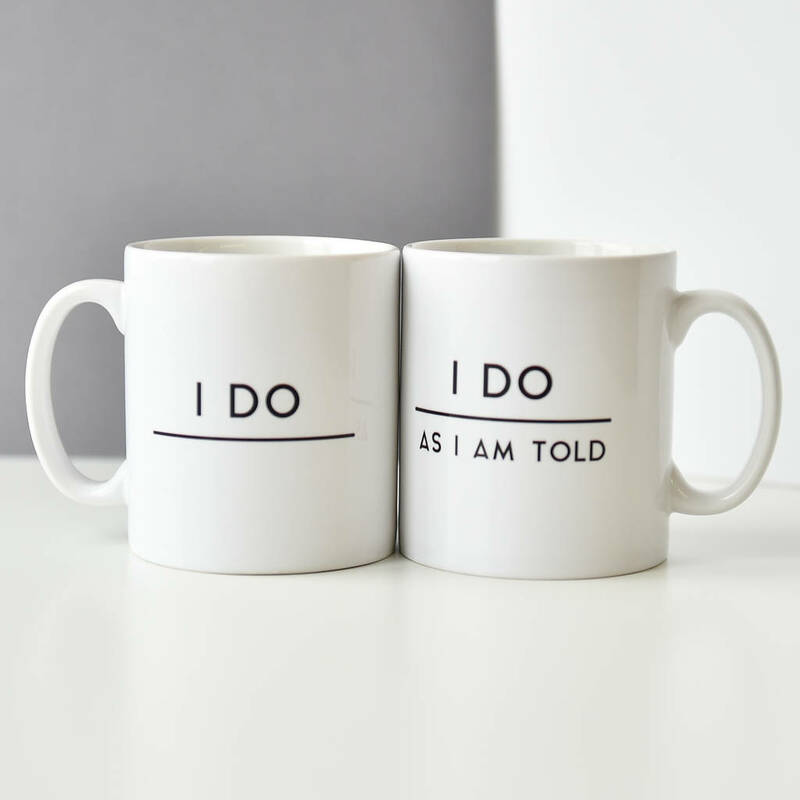 The mugs not only make a great wedding present but would also be great as a anniversary gift. 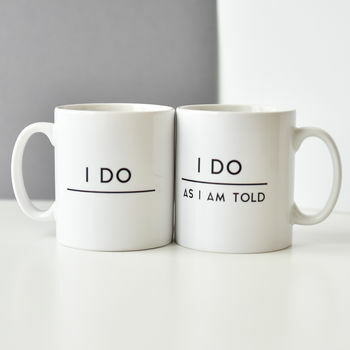 The mug set is sure to bring a smile to recepients face. 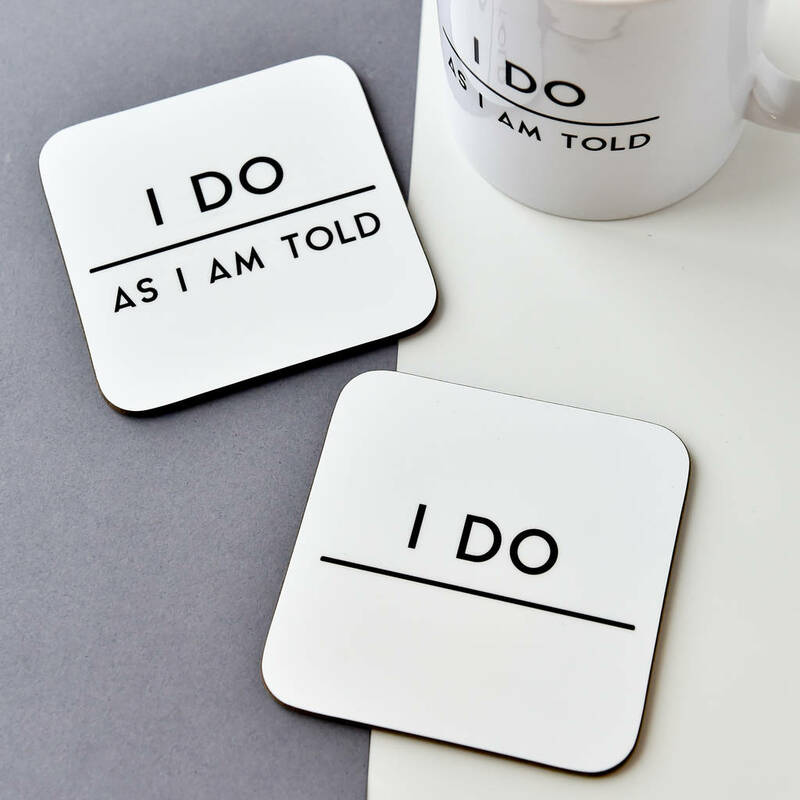 Each set is made to order and then printed on to a high quality white mug. 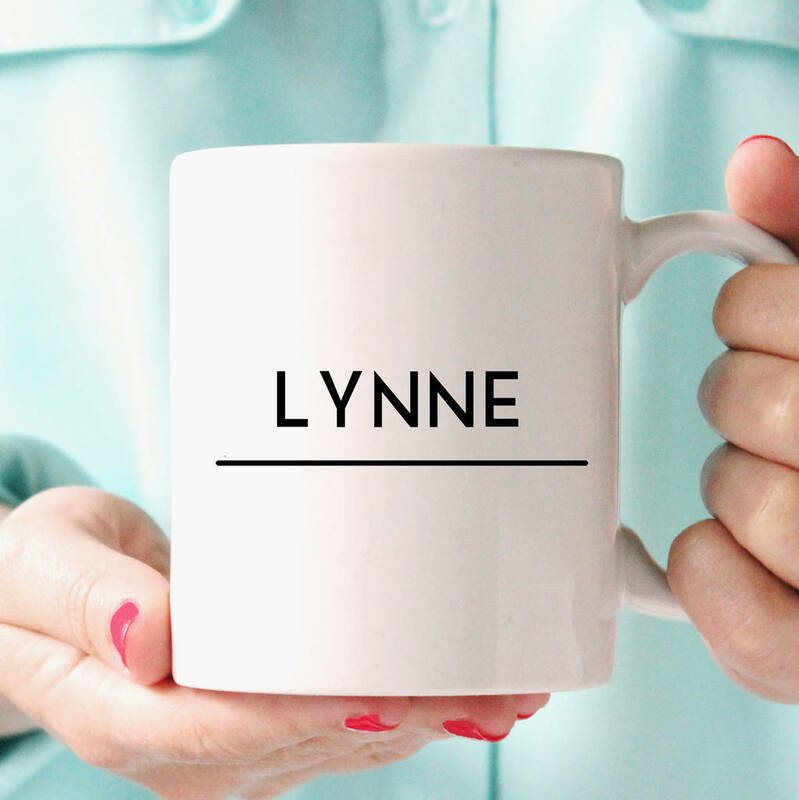 If you would like to add names on to each mug simply enter your chosen details into the personalisation drop down boxes on the right. The names will be printed on the reverse of each mug. Orders are printed and made to order in our studio in Cheshire. This product is dispatched to you by Koko Blossom.